FACE TO FACE MEETING plays a major part in communication. It is not just how you said something, but also your facial expressions and body posture. Nobody handles his client’s cargo with someone never met. It is a vital point in worldwide agent networking and it is requested from all FM agents to join AGM regarding natural philosophy of Freight Midpoint Meeting and Protection Focused Strategy. The key success factor of our association and our power is coming from “being associated with LIKE MINDED people who are focused on one common goal of achieving success”. We hereby thank you all our participants, who attended FM meetings and made our events such a perfect business meeting. 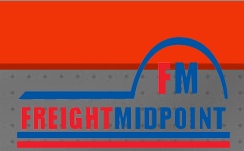 Here are the figures which show increasing potential and success of Freight Midpoint Agents. FM 4th Annual General Meeting, 5-7 March 2017, Dubai, U.A.E.